Trials riders have the most impressive skills of any motorcyclists in the business. The Trials Day experience promises to pass on the tricks of the trade to give you a grounding in trials riding. Tony Hoare reviews his day of tackling obstacles in the Peak District. 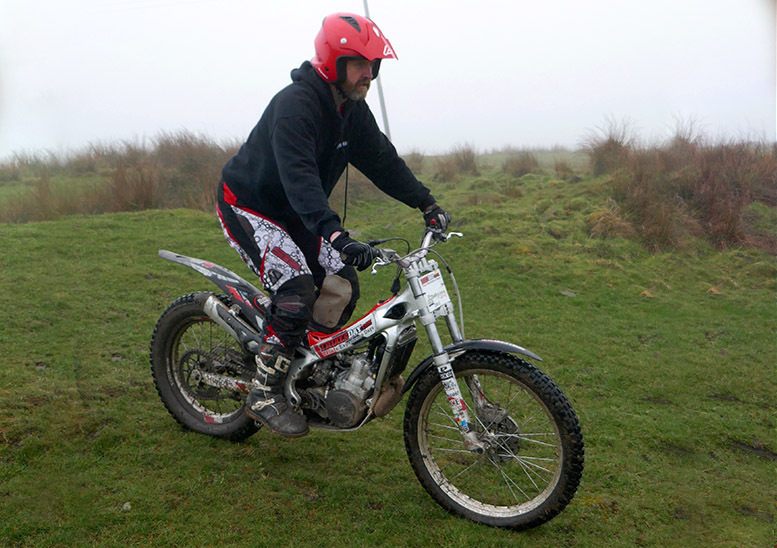 It’s a one-day trials school designed to pass on the principles of trials riding and give the chance to put them into practice by riding around the organiser’s farm in the Peak District. 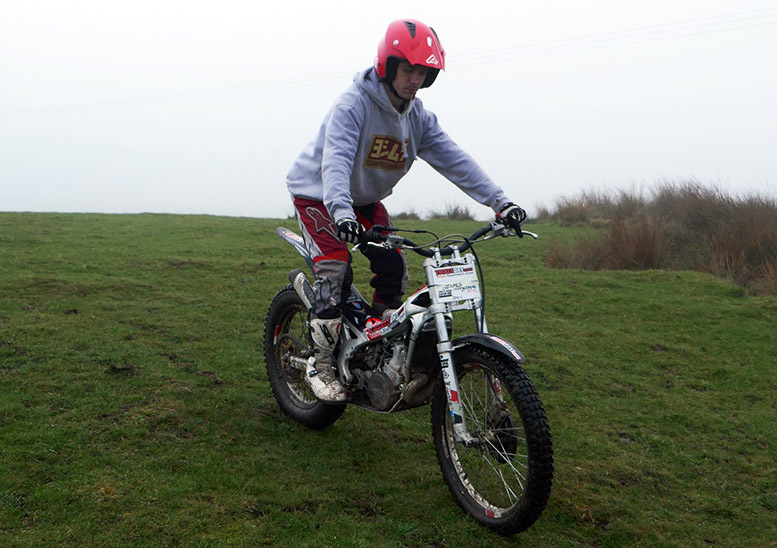 It starts with the basics of how to stand on the bike (it’s a trials bike, there is no seat!) and teaches how to tackle a variety of different obstacles using a range of body positions. For those who enjoy it there are further courses to hone those skills and use them to tackle increasingly difficult obstacles. 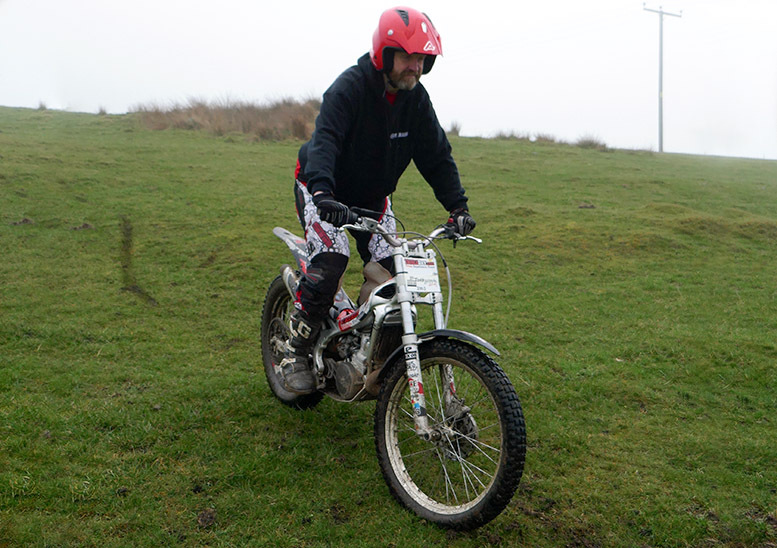 Stuart Day rode trials to a high standard and is a former British enduro champion to boot. He’s spent years studying the technique of the world’s best trials riders so he can pass them down to mere mortals like you and I. He runs the event on his family farm near Leek, with the fields and woodland providing the perfect environment. There are regular dates throughout the year, on various days of the week. 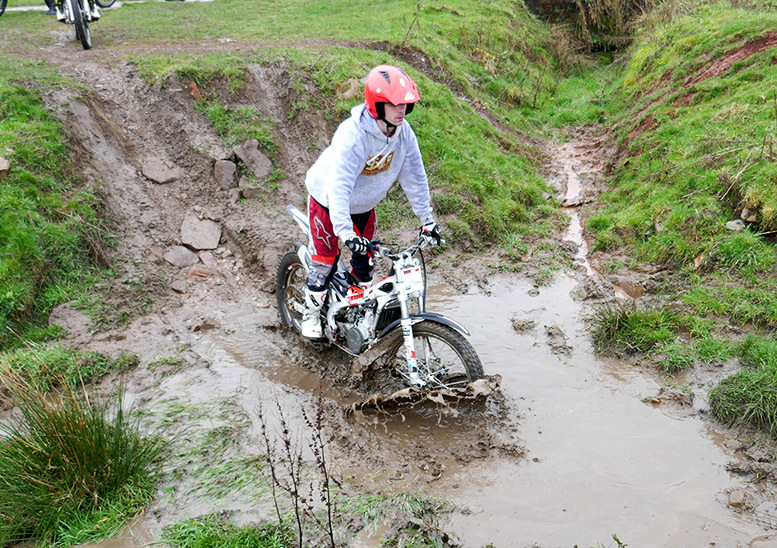 It’s £150 for a full day of riding, including use of a trials bike, the required kit (don’t worry, no Lycra is involved) and a home-made lunch with drinks and snacks at breaks. There’s an optional damage waiver of £25 that means you won’t have to pay for any damage you do to their bike. 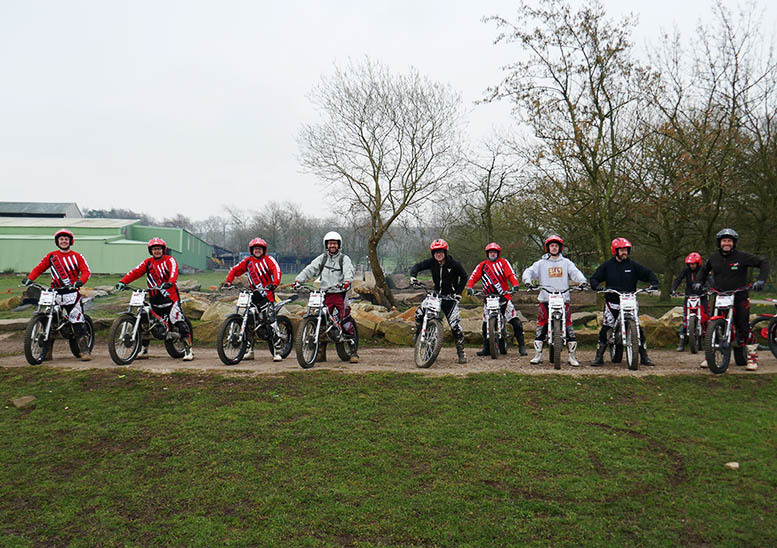 It started out with warm-up stretches and exercises, with demonstrations on the different standing positions required for riding uphill, downhill or turning. A bit of follow-my-leader tuition on flat grass is followed by heading out into the undulating hills as the techniques become more demanding and the riding becomes more rewarding. By lunchtime I could ride in and out of watery dips and turn the bike while descending or ascending, and also ride over rock formations. After lunch I plucked up the courage to ride up a kerb-width ridge and along a concrete drainage tunnel and off the end. The only part I swerved was a pile of slippery logs that claimed one of my fellow riders and an up-and-over on a tractor tyre that was aimed at riders in my group who were on a return visit to hone skills learnt first time around. Yes. It offered a good balance of learning and fun, with the emphasis on the former at first and the latter once we’d got the foundation in place. What was the best bit about it? The feeling of improvement as the day went on. I felt I’d learnt a lot in a short space of time and was having a crack at stuff late in the day that I couldn’t have imagined I’d be capable of doing when the day started. Anything you would like them to improve? The first sessions were on a flat field and a group of inexperienced trials riders were spinning circles while trying not to bump into each other. It was never terribly close and common sense saw us through, but a bit more space would have been nice. That’s my only mild criticism as the whole day is very well thought out and planned. Loads of different little things that all added up, but the main one was patience. I’ve always worked on the basis that momentum is my friend, but I now know there’s a limit to that. Hammering up a hill and over the top of a ledge isn’t great if you don’t know what’s at the top. The body position and balance exercises add another level to control of both bike and the mindset of riding one. Absolutely, and I already have. It’s ideal for people who are open-minded enough to try something new and are willing to accept that people can help them get more from riding their bike. I don’t always find it easy to be told what to do, but the experience and knowhow of Stu and Ian, who helped with instruction when I visited Trials Day, meant I listened and learnt a lot.